This book addresses the highly relevant and complex subject of research on drugs from natural products, discussing the current hot topics in the field. It also provides a detailed overview of the strategies used to research and develop these drugs. Respected experts explore issues involved in the production chain and when looking for new medicinal agents, including aspects such as therapeutic potential, functional foods, ethnopharmacology, metabolomics, virtual screening and regulatory scenarios. 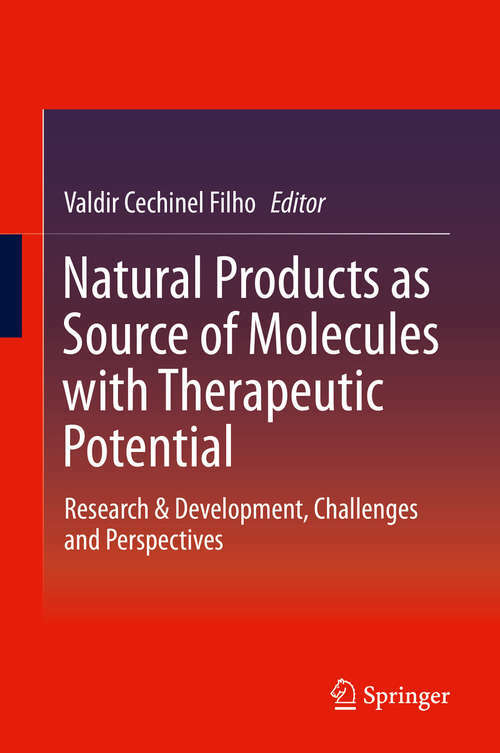 Further, the book describes strategic methods of isolation and characterization of active principles, biological assays, biotechnology of plants, synthesis, clinical trials and the use of tools to identity active principles.